AUCKLAND, New Zealand - Auckland City FC coach Ramon Tribulietx hailed his Navy Blues side as they completed a record sixth consecutive ISPS Handa Premiership title after a 2-1 win over the Wellington Phoenix on Sunday. The Navy Blues travelled nearly 18,500 km to their own front door at Kiwitea Street and there were some concerns the long journey would stimy efforts to lift the coveted prize. Any concerns of an upset defeat were quickly dispelled thanks to goals by David Browne and Yousif Ali who notched his first for the club. Justin Gulley was on target for the Wellington Phoenix. Tribulietx cut a relaxed figure but the normally conservative post-match remarks were coloured by a sense of pride in what his players have achieved. "We had a lot of tired minds and bodies out there but we played very well and it's unfortunate it was only 2-1. "The goal we conceded was where we stepped too early in the transition and they caught usin a one on one and they scored a very good goal. "We created a lot of chances throughout the match and I thought we had most of the ball. "They didn't press our midfield very high with the ball and tried to block our passes inside but I thought we did very well to break through and over the top of their back five. "It was a good result for us considering the circumstances and the players gave a very good effort. "It was great to see Yousif score his first goal for the club with a very good header. "Most players can be pleased with their performance considering we arrived very late from an 11 hour flight with jetlag and lack of sleep. "The team gave a lot in Hong Kong and I'm very happy with their efforts. "The fact we won the premiership for the seventh year in a row speaks to the consistency of the club itself. "We've won it with four games in hand and considering we've had a lot of injuries it means we will be able to rotate players. "We're not going to stop competing in these games but we will use it as an opportunity to give players some game time ahead of the OFC Champions League," he said. 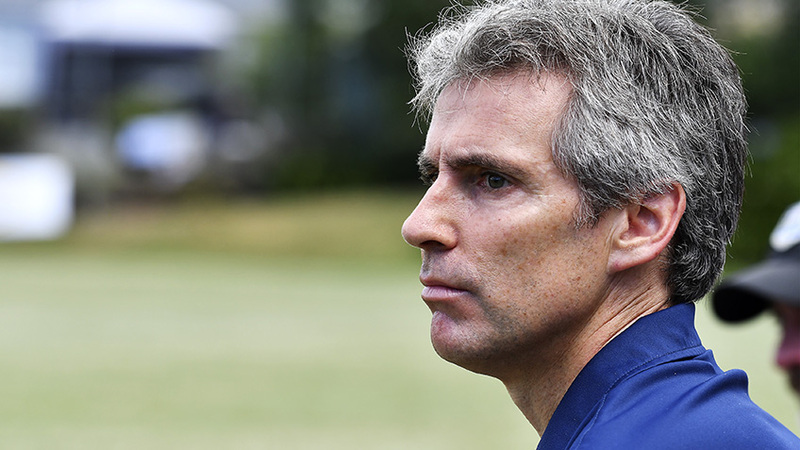 The latest title victory handed Auckland City FC its sixth consecutive title but also gave Ramon Tribulietx his seventh as coach of the Navy Blues. Tribulietx has the most title wins of any coach in the history of the competition with his nearest challengers Allan Jones (2) and Chris Milicich (2). Neil Emblen shares the record for most Grand Final title victories with Tribulietx of three. Allan Jones (2) and Paul Marshall (2) are the nearest challengers to that record. The total of 42 points achieved by the club equals the most amount of points gathered in a title since 2014-15's championship triumph. The total of 42 points is the biggest total since Waitakere United won the title with 51 points from 21 matches in 2007-08 season. Auckland City FC, of course, have four games in hand in which they could yet surpass that total and claim a new overall points tally triumph for the ISPS Handa Premiership. Auckland City FC's biggest points total in a minor premiership winning season is 48 points from 21 matches set in 2005-06. Auckland City FC's next match is on Wednesday 13 February 2019 when the Navy Blues travel to Dunedin to face Southern United. The match kicks off at 5.30pm NZST.